Collect Cinderella story! Cinderella story from Harlequin is the best of love story for everyone. 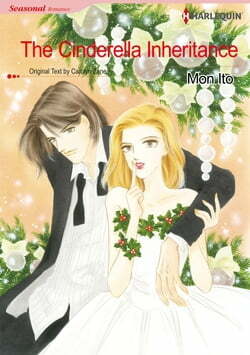 Collects: "The Cinderella Inheritance",:"His Cinderella Bride","Appointment at the Altard","Cinderella and the CEO","The Cinderella Solution". When the wealthy Alfred Wingate dies, his personal... read more assistant, Cynthia, is utterly confused. He has left her his mansion in his will! Cynthia thought she was in love with Alfred's grandson Graham. But when she finds out he is cheating, she breaks off the engagement. But the terms of the will won't allow her to refuse the inheritance, and she's stuck with the mansion. On top of all this, Graham's brother, Rick, treats her with contempt, believing she tricked his wealthy grandfather!